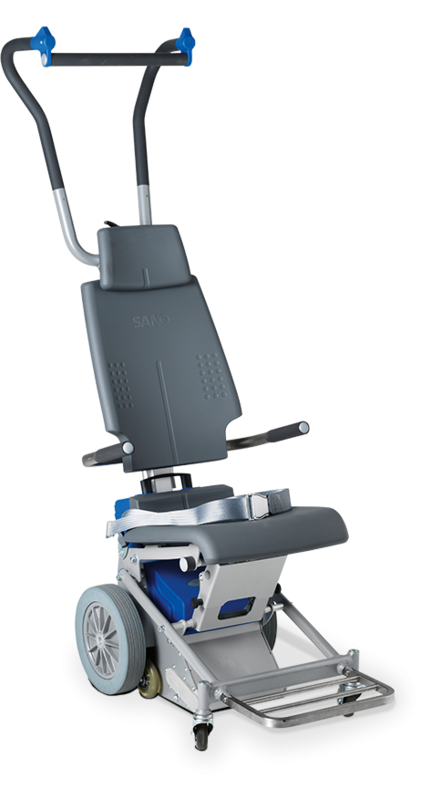 The Liftkar PT helps provide freedom to places where access is limited. Running on its own battery, this stair climbing people carrier can be used virtually anywhere to overcome the problem of steps and staircases. A Liftkar provides freedom when faced by a flight of stairs. Where previously it would be a struggle or even impossible, the powered stairclimber performs all the lifting required to overcome the problem. The operator balances the person in the chair and with a press of a button the equipment does the rest. 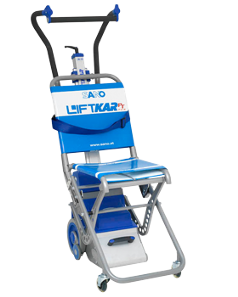 The Liftkar PT lifts itself and the passenger to the next step with minimal effort from the operator. Going down the stairclimber senses the edge of the step locking the wheels and placing the climber into the correct position to decend.